For any thriving business, it is important to stay updated on the newest technologies. New technologies help save time and increase productivity. Think about the biggest tech companies in the country. Companies like Apple and Samsung are constantly incorporating the newest technologies internally so their employees can complete their projects more efficiently and help the company as a whole stay competitive. That being said, new technologies are available in any industry, not just in large corporations like Apple and Samsung. The welding industry is one of the biggest industries where new technologies can help businesses thrive. New technologies within the welding industry include inverter-based pulsed MIG/TIG, simplified controls, and user interface. By incorporating these technologies, welding businesses can take advantage of the benefits that come with it. Benefits include increased productivity, reduction of scrap loss, and reduced failures and rework. We encourage all welding businesses to include new technologies so they can exploit all possible benefits. 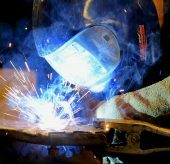 One benefit welding businesses gain by including the newest technologies is increased productivity. 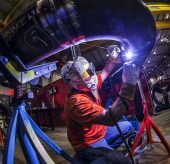 If a welding business’ operations are struggling to find and retain a qualified team of welders, productivity improvements will help meet demands while utilizing current workers. Another benefit welding businesses will exploit by incorporating new technologies is the reduction of money lost in scrap metal. 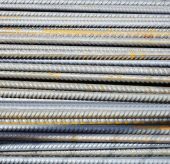 For companies that use stick welding, they often lose a significant amount of money in stub loss. New technologies will allow welding businesses to change from stick welding to a wire process that will ultimately eliminate scrap costs and produce labor savings due to a more productive process. Lastly, new technologies and welding processes will help welding businesses reduce time and money spent on failures and rework. 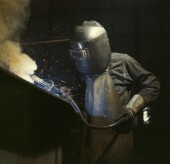 Strong welding businesses strive for better overall quality to obtain a low rate of rework. No disruption of the flow of fabrication, manufacturing, or construction process will lead to low failure and rework levels which will essentially lead to happy customers. New technologies might require some invested time and money, but by bringing in the newest technologies, welding businesses can be sure that they are getting the most beneficial returns.